The Forestry, Wildlife and National Parks Division will observe International Day of Forests today March 21st 2019. Forest Day was established in 2012 by the UN, for the purpose of celebrating and raising awareness of the importance of all types of forests. Understanding our forests and keeping them healthy is crucial for our future. The aggregate value of forests will increase much more significantly as the world population climbs to 8.5 billion by 2030. You’re never too young to start learning about trees. Helping children connect with nature creates future generations actively knowledgeable of the benefits of trees and forests and the need to manage them sustainably. Both modern and traditional knowledge are key(s) to keeping forests healthy. While foresters should know and understand nature well, they should also learn to use cutting-edge technology to ensure that our forests are efficiently monitored and sustainably managed. Investing in forestry education can change the world for the better. Countries can help ensure there are scientists, policy makers, foresters and local communities working together to stop deforestation and restore degraded landscapes. Women and men should have equal access to forest education. Active gender equality in forest education empowers rural women to sustainably manage forests. Currently, the Forestry, Wildlife and Parks Division spare heads the post hurricane Maria national reforestation and watershed restoration effort in Dominica. We “Building a Resilient Public Service: A Collective Response” remain focused to generating hundreds of thousands of trees in this ecosystem restoration effort. 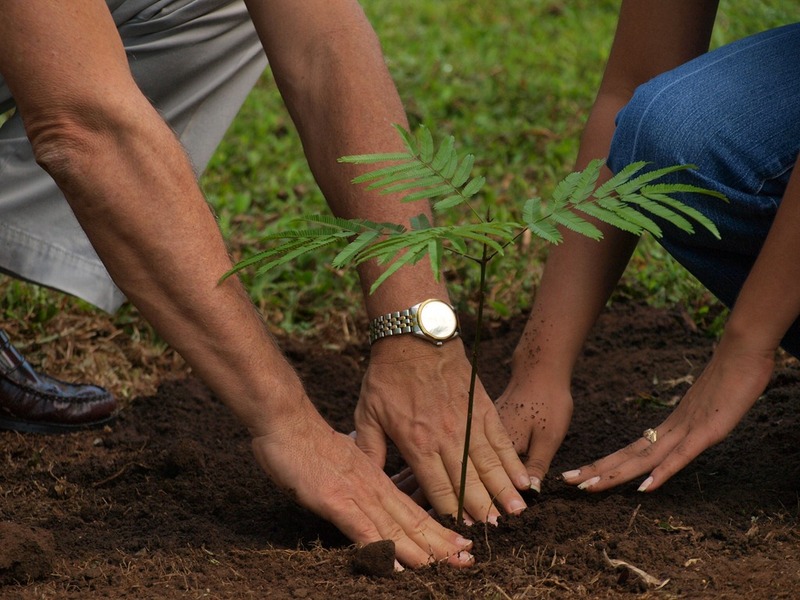 In recognition of Forest Day 2019, the division will host a tree planting activity at the Pichelin Riverside today. Pupils from the Bellevue Chopin primary school and the Grandbay Village Council will assist the division in their efforts to replant trees on the river bank. According to Assistant Forest Officer of the Division, Norma Anthony the trees being planted in Pichelin today, will serve as a continuation of a reforestation project the Forestry Division started in Dominica post Hurricane Maria. She says the division wants this project to involve the community hence the participation of the primary school pupils and the village council. Every International Forest Day, countries are encouraged to undertake national and international efforts to organize activities involving forests and trees, such as tree planting campaigns. As such, the division plans to plant four different tree species on the Pichelin River side. According to Anthony, the tree are being planted to provide food , for recreation and for land stability. The trees that will be planted are: Almond and Poisdou-Mahaut mainly for recreation and food for humans and wildlife; and the tree mainly for land stabilization are Achlin tree and the Bois-rivere.